Clem's Crazy Critters - The Farm. I had a hedgehog while I was in college and then for a few years after until he passed, Mike D., he was a fun little guy. 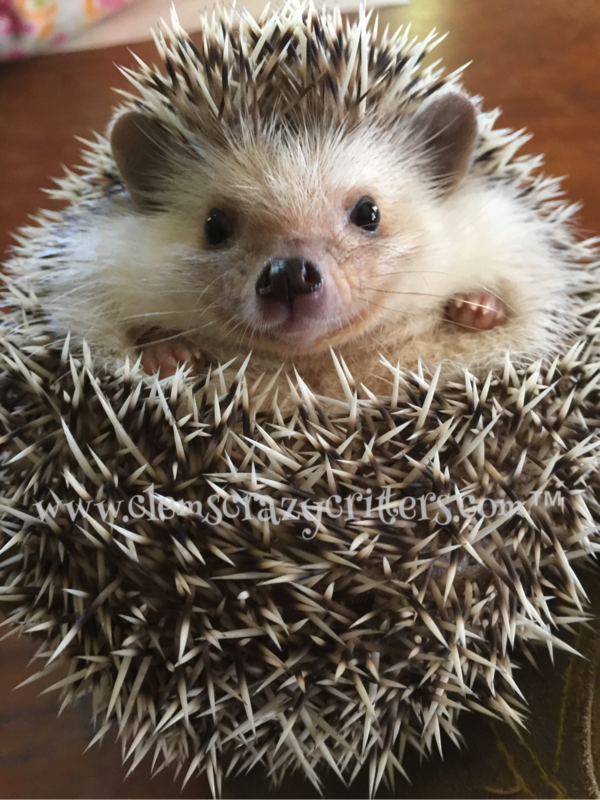 On quite a few occasions I have mentioned to Shannon that I would like to get another hedgehog and he on each occasion has said, "No." A few days ago we were visiting some friends and I was on a desperate search to find an inhaler for RJ since I had a huge mom fail and brought an empty inhaler in my purse. I got a message back from a friend confirming that she did not have an inhaler, but she did have a hedgehog who needed a home and would I take her. Of course! My purpose in this life is to give animals homes, I mean if I could have my own zoo I would. ​So, my friends, meet our newest addition, Winnie. We are working with her so that she allows us to hold her without her rolling into a ball because right now any little noise or movement scares her. Both of the kids adore Winnie and I think Shannon is coming around. He does smile each time we take her out of her cage, but that may just be because he cannot believe another animal has made its way into our home.